I psy... a Prima Marketing stencil with Colorbox ink, a Maya Road stamp with Prima pink chalk and Colorbox turquoise ink, Recollections papers, and gold Liquid Pearls ! I cannot hold my passion for fussy cutting too long. So you can see it with the flowers, large AND small. Our sponsors this month are Molossi with a $30 prize pack and Flourish With A Bling with a $15 package including OS postage. 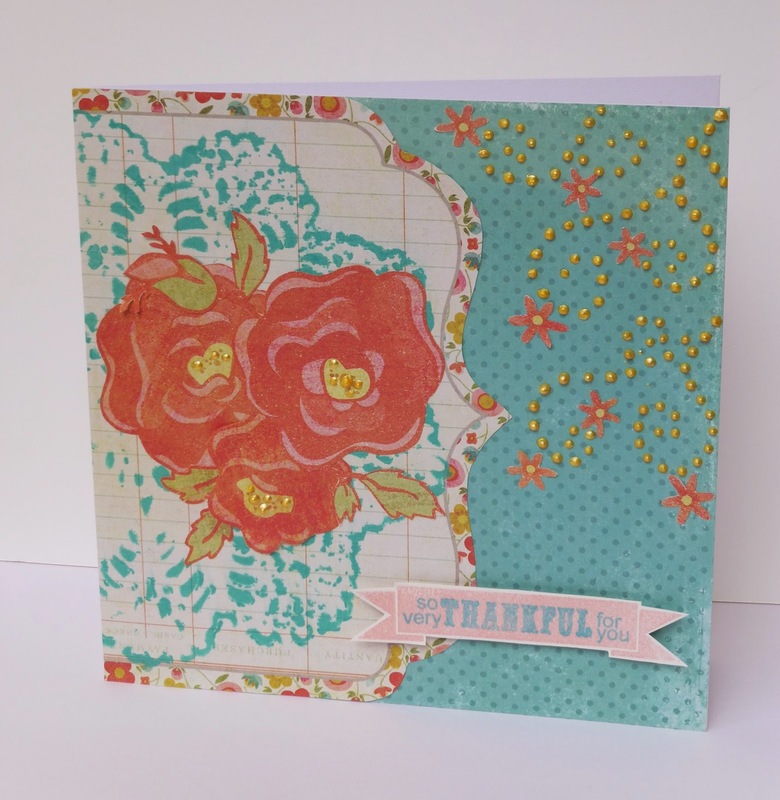 So be creative and upload your card for this Feeling Sketchy challenge ! So pretty! I love the flourish bling with the little flowers!! Love the colours you used!